There’s something mysteriously nostalgic about looking back at pictures of yourself as a child and trying to reminisce what life was like for you then. 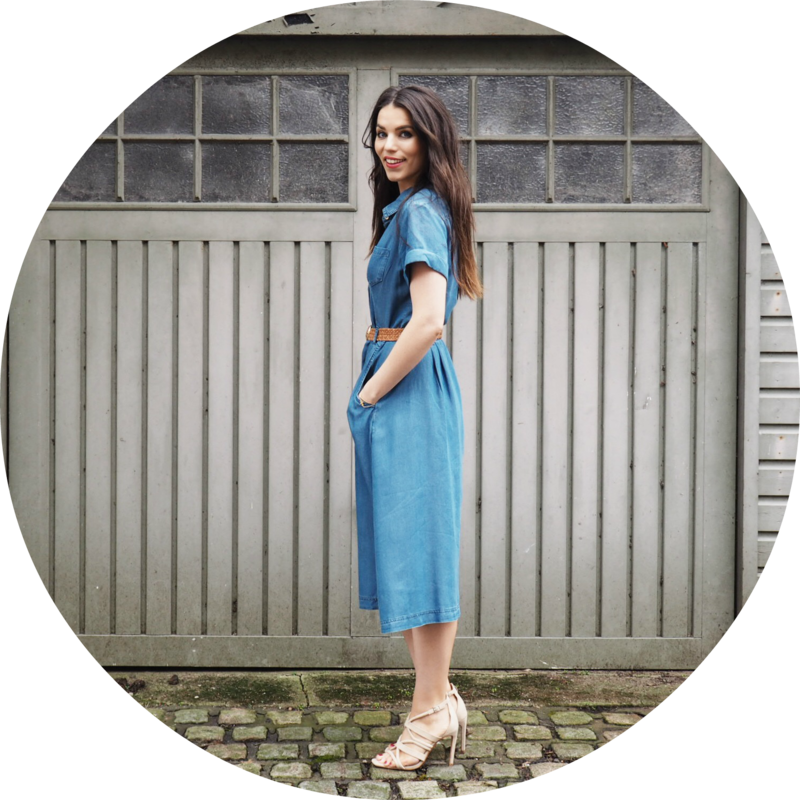 It was only after stepping into motherhood myself that I realised the lack of photos I have of myself as a child and in particular those with my mum in them too – of course, it was either chunky cameras or nothing back then, no smartphones or pocket-sized cameras to take a multitude of snaps. To this day I can only think of one photo with both my mum and myself in it… I must have been around 7. My younger brother Michael was also in the shot, taken at the local swimming baths. I’m not blaming my wonderful mum – she had enough on her plate as a single mother of four young kids – but I can’t help but feel somewhat wistful that I can only really piece together moments from my childhood through my own memory. Thankfully, around the age of 7 or 8, I became fascinated in taking photos with simple throwaway cameras (remember those?) and became a photo addict in my latter primary school years… I guess the rest is history! This may also be the reason why I don’t – and won’t – stop taking pictures of myself and the boys and just the boys in general. 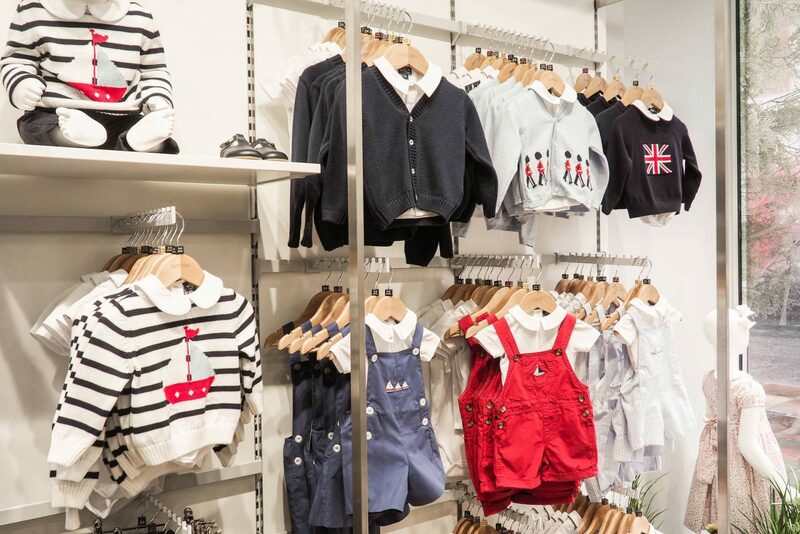 It’s safe to say they won’t be short of evidence of their childhood… maybe they’ll have a bit too much! The point behind all this is how utterly essential I think it is for you as ‘mum’ or ‘dad’ to get in the frame too! 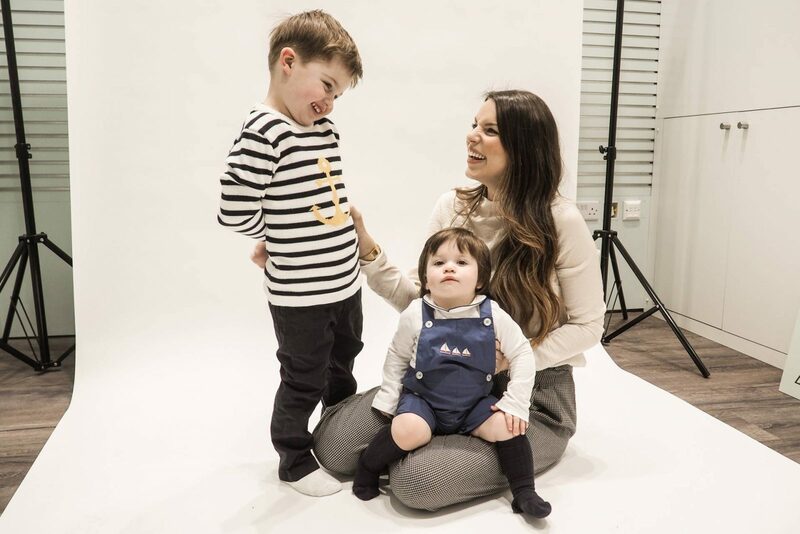 Whether it’s first thing in the morning where you’re all a bit rough round the edges or when you’re dolled up to the nines ready for a family outing, you’ll appreciate all the candid shots at a later stage… I promise you, you’ll thank me later for giving you the push! 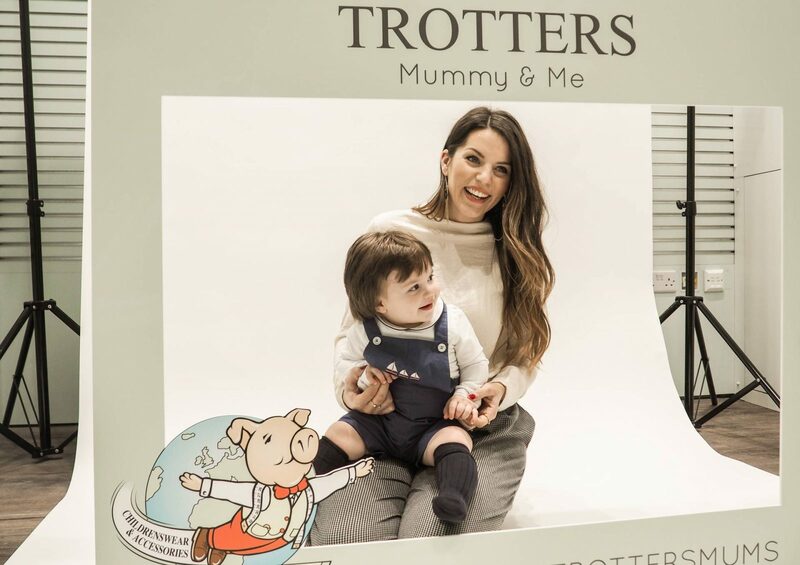 So… to embrace the idea of ‘being in the frame as well’, the lovely, traditional children’s wear retailer Trotters are giving a complimentary ‘Mummy and Me’ photo shoot to any Mother and child on every Friday, Saturday and Sunday on the run up to Mother’s Day starting this Friday 23rd Feb. Here are a couple of my behind-the-scenes shots of the above… just take a moment to appreciate Remy’s cute little outfit with his knees out… gah. 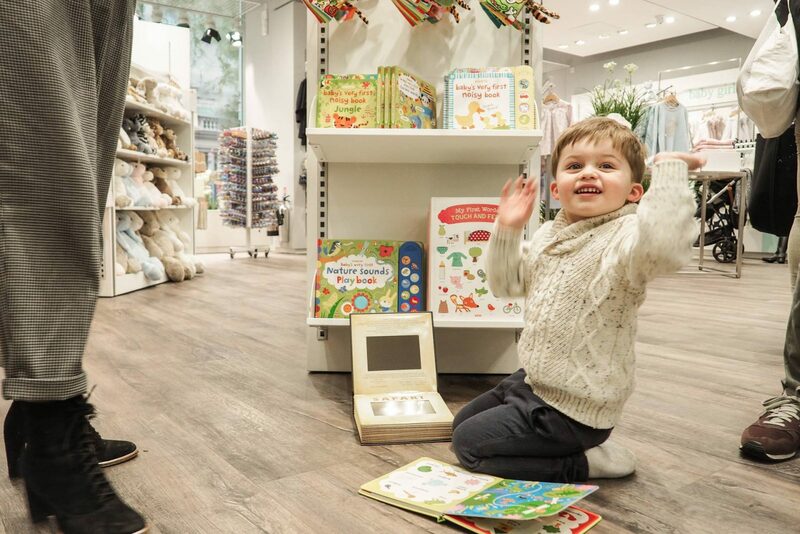 Here’s our short little fun family vlog of our time in pretty city London – I hope you enjoy! Just quickly, I wanted to mention how blown away I was by the Trotters store. 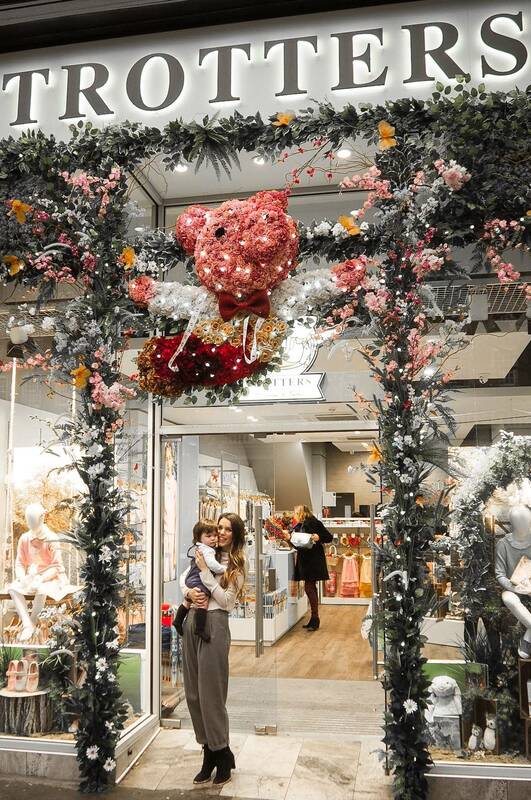 It had a show-stopping entrance with a huge array of vivid flowers adorned all over the shop front (every Instagrammers dream). 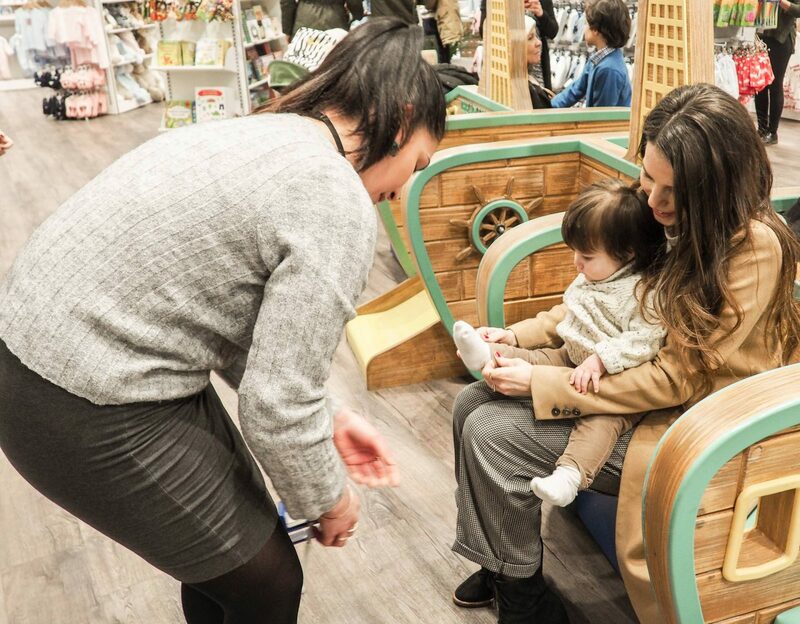 Inside it was a place where both children and adults could enjoy having a leisurely peruse, shop or even play with a slide and tunnels for the children to be active, books and toys a plenty. 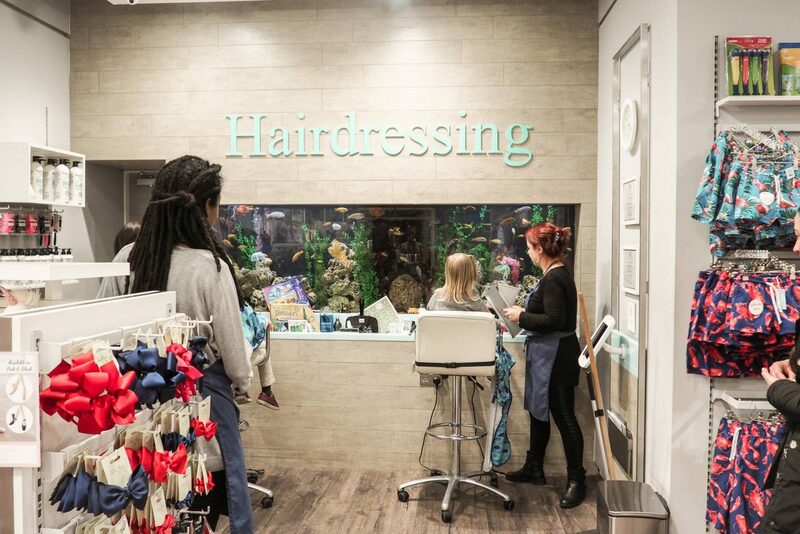 They even had a huge fish tank which children could sit and watch whilst getting their hair cut by professional hairdressers. How amazing is that?! I wish we had one in my home town, Preston! 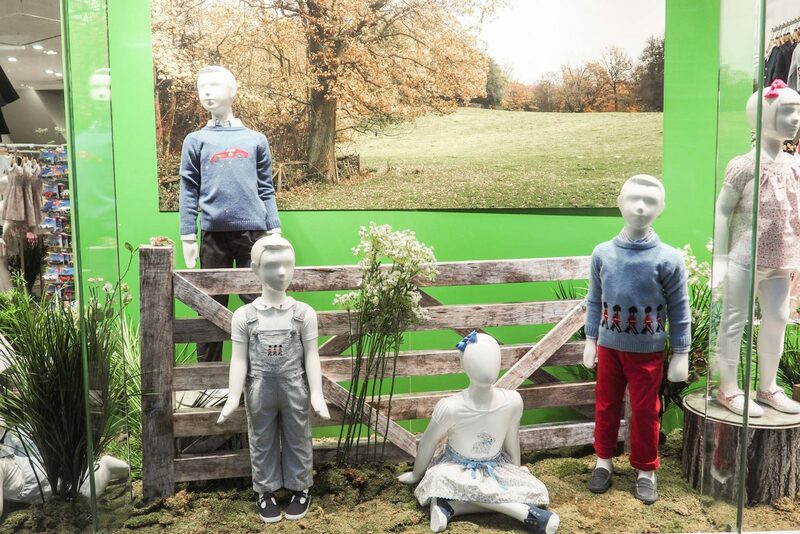 I was pleasantly surprised by their eclectic range of traditional children’s wear for both girls and boys – in addition to footwear, toys, books, swimwear and lots of other exclusive brands. I didn’t realise until we left but we ended up spending three hours in there and time totally flew by. I think that even usurps any Zara trip I’ve ever made and that’s saying something. 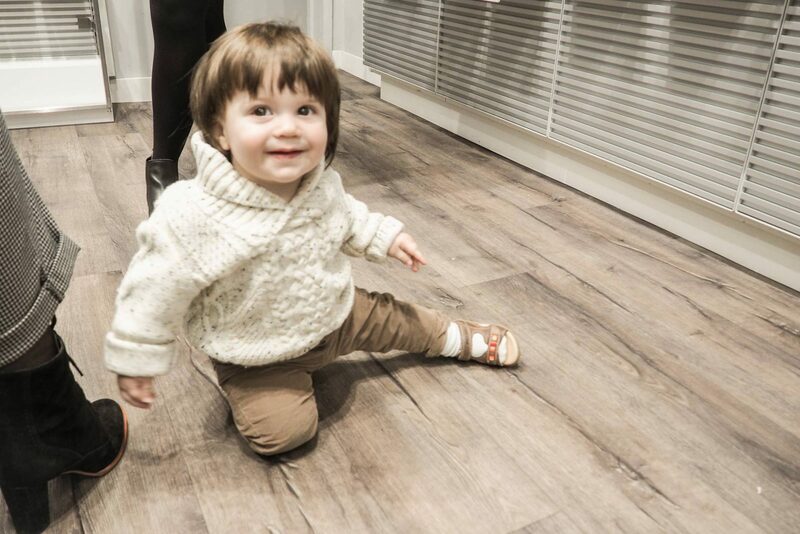 Little Remy trying on his first pair of sandals :). 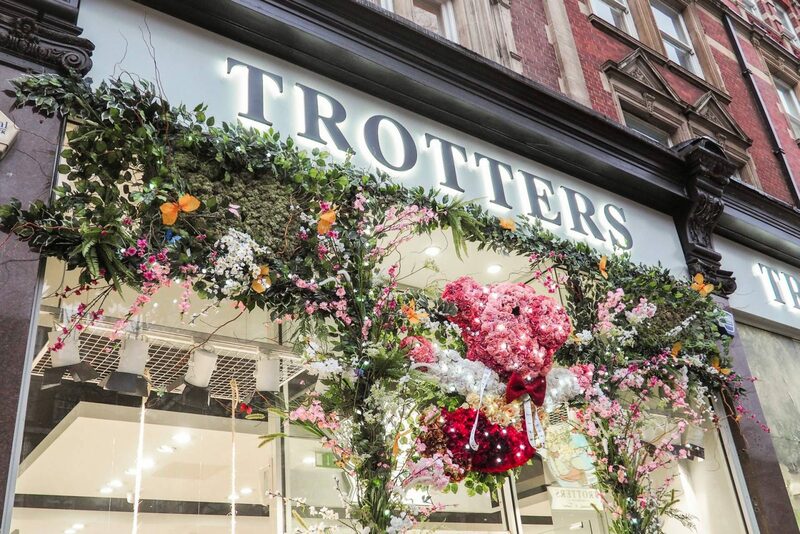 Thank you to Trotters for inviting me down to London for the weekend to trial their ‘Mummy & Me’ photo shoot and to enjoy having a little shop with all their latest collections, we had a blast and felt very honoured to be a part of it all. If you’re in and around London on any of the dates mentioned above then it’s well worth booking in and enjoying a little time-out with your child / children in honour of Mother’s Day! 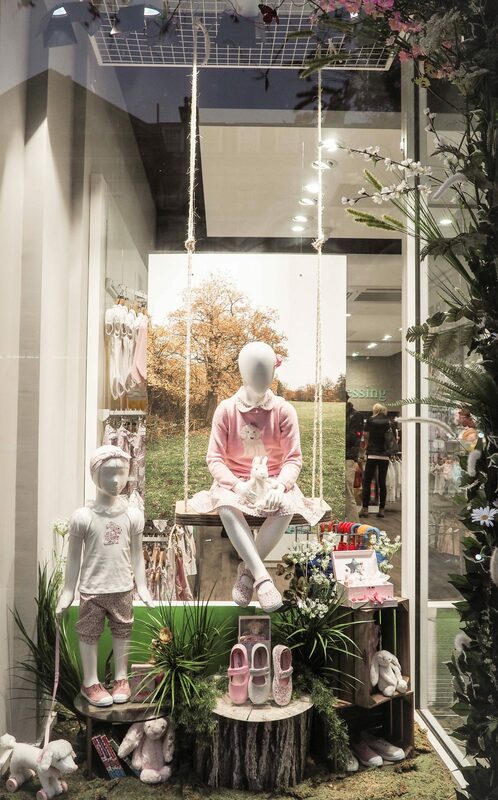 Such a lovely way to remember a special occasion in celebrating us Mums and – bonus – it doesn’t cost anything :). I’m going to be sharing more about our family weekend in London in another blog post because as always I have too many photos to share. So I’ll be seeing you very soon with part two.